After a train accident killed his son, he spent the entire term of his Presidency mourning instead of leading. Decided the best way to govern was to keep the peace by just simply letting things spiral out of control. 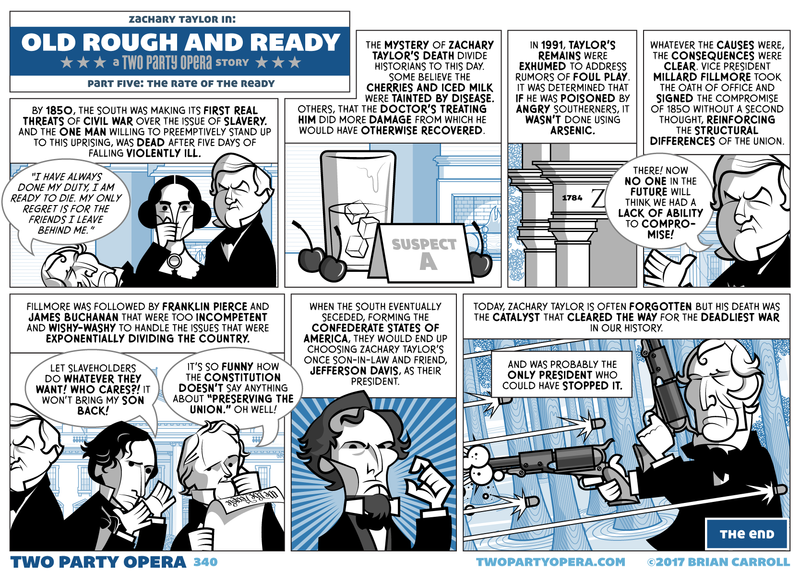 And with that, we conclude “Old Rough and Ready,” Two Party Opera’s take on the life and legacy of Zachary Taylor. Hope you enjoyed it and a very happy birthday to our nation’s 12th president!